I thought it was about time I give my lovely readers a great giveaway! I've been trying to think what everyone would like and what is 'in' right now. 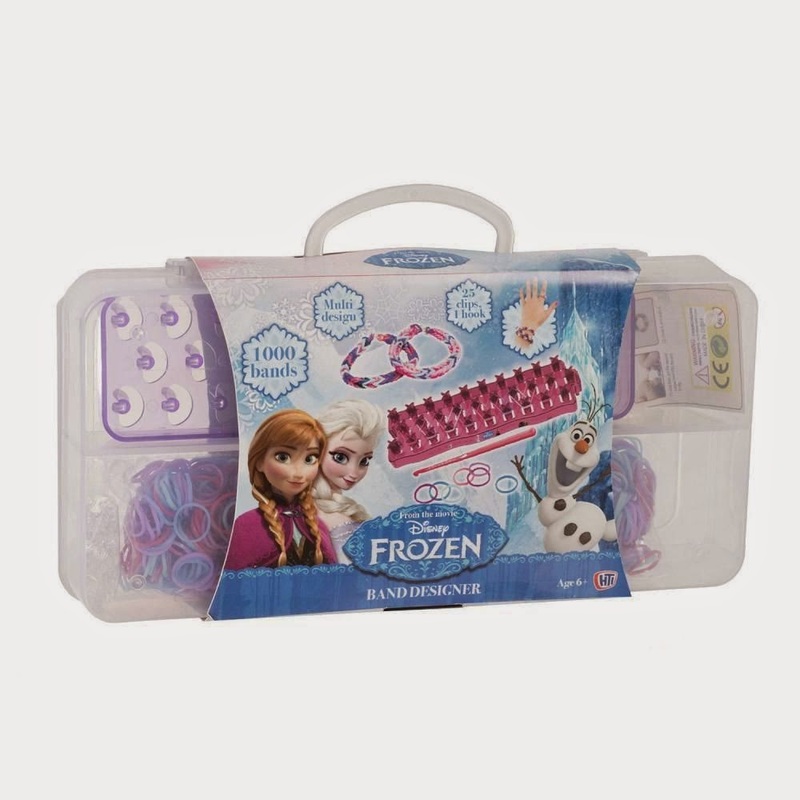 Whats better than some loom bands and Frozen?! They're both so popular right now so I thought I would giveaway One Frozen Loom Band box to one lucky reader! Also this great prize will be with you just in time for Christmas! Read below for details of the prize and the T&C's. There are 1000 Loom bands, 50 clips, 1 hook, Loom maker and storage case (size: 29cm x 14cm x 5cm). - Giveaway starts 27th September. - Giveaway ENDS 18th October at 11:59pm. - Winner will be chosen within 24 hours. - Winner will be notified via e-mail, Facebook and Twitter. - ALL entries WILL be checked, so please do NOT cheat. - UK entrants ONLY (sorry!). * Please note: I am not working along anyone with this time. I have purchased this item myself with my own money for one lucky reader to win one. Good luck. YES!! lol My two girls and I may like it a little too. Yes, both my daughters are fans! my daughter is a massive fan of frozen! My youngest is the biggest fan, the songs are playing constantly in our house!! My daughter Lily loves Frozen. My Grandaughter Annabelle aged 5 loves Frozen especially Anna. My sons love frozen and loom bands. Not in my house, but in my son's house! My adult sister is obsessed and wants a Frozen party for her 30th birthday! No but my grandchildren are. My niece loves Frozen. I thought it was a brill film when I watched it with her. Both my daughters are Frozen fans. Me too if I'm honest! My niece is Frozen mad.